how many times can I meet a Kiwi well abroad? No matter where I go, New Zealand is always around the corner. I lived in New Zealand for a year in total on three different trips, and I fell in love with the country. The people, the landscapes the "fush and chups". Essentially he said he loved my hat. Oh yea, my hat says New Zealand across is in huge letters so it's pretty obvious. He then continued to ask me an array of questions about New Zealand's vast history which I then tried to answer in my limited French. To be honest I think made something up and talked about a long white cloud. Then proceeded to get off at the next stop. He was nice, but French under pressure and an unknown subject is not easy! "Une salade, si vous plait" , one of the ladies said with a think Kiwi accent. We continued to talk about New Zealand for the next 5 minutes, asking me where I travelled, where I lived what I liked. And it was great to hear about where they came from as well! It's such a small country, everyone almost knows everyone, and everyone has been everywhere. While in France, my sister was doing an exchange and met a ton of students from all around the world. I was lucky enough to meet them, and when I met one girl we clicked! She came from New Zealand, and we happened to live not far away from each other on the same island, and nearly the same street. The world is too small, I tell you! Truro, is about 10 mins from where I am living. How insane is that! So we ended up meeting in Truro a few days later and went for a cream tea (which is a scone with clotted cream and jam on top!). We wanted to do something very english considering we are both from abroad, yet commonwealth countries! 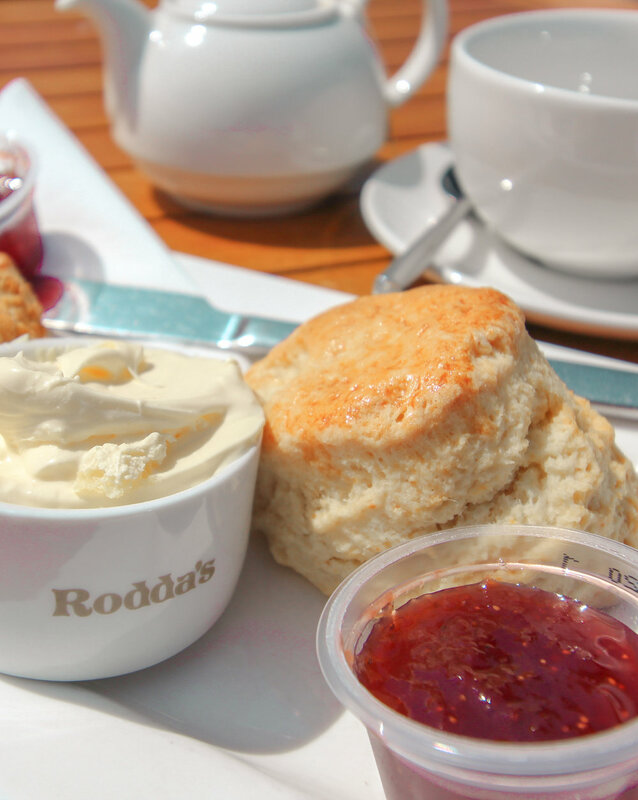 Clotted cream and jam on a scone! Cornwall itself is actually very similar to NZ north island in it's landscape. The long beaches, the small palm trees and the lush landscape! If you've read all the way though to the end of my blog, give me a little like so I know you've enjoyed my story!